TOWN OF SEYMOUR, Wis. (WFRV) - One man was injured and another arrested following a stabbing in Outagamie County. The incident happened at a home on County Road Y in the Town of Seymour Saturday. The Outagamie County Sheriff's Department says when officers arrived they located a 23-year-old man with multiple stab wounds. He was transported by ambulance to a Green Bay area hospital and treated for his injuries. He was later released from the hospital and is expected to recover. 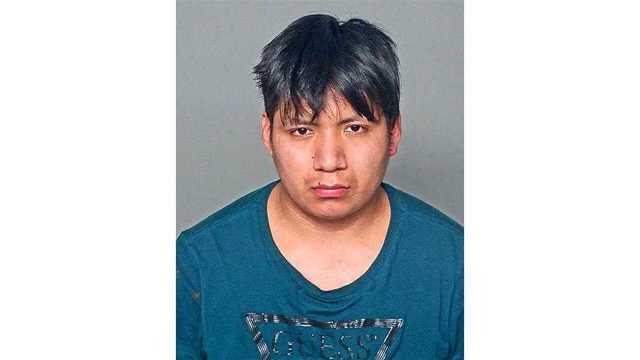 Officials say the suspect, 20-year-old Ignacio Bautista Cruz was arrested a short time later and booked into the Outagamie County Jail on charges of First Degree Recklessly Endangering Safety and Aggravated Battery. The suspect and victim both lived at the home with several other people. Officials say this incident was the result of a disturbance at the home.